Today was one of those days that looked like it was going to rain, but never did. There were quite a few cancelled sales, and our route even got cut off due to a local parade. No sign of our competition though! Our one find of the day was found at a neighborhood sale that we've been to a few times in past years. The GBC was sitting on the "$2" table, and the kid took a buck for it. There was also a clear GBC with some cables marked $20 on the ground. Both these GBC's had been there the past few times we had been to that house. They also had an SP, but it was way too scratched and scuffed to even warrant a buy. 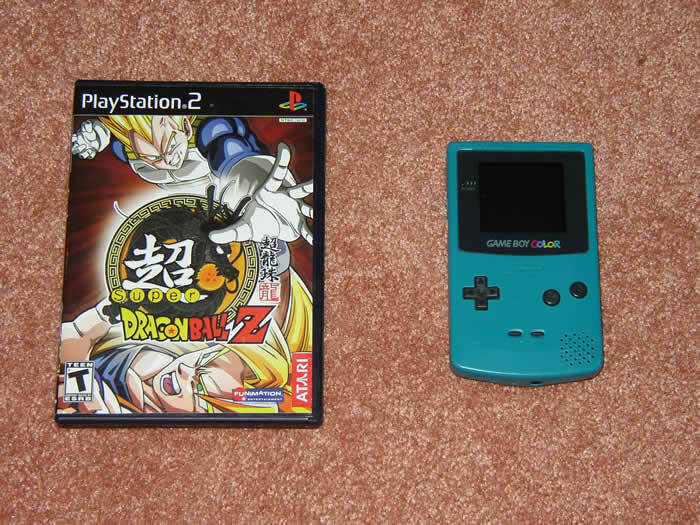 Dragonball Z was sitting in a box with some other PS2 games. The kid would only go as low as $4, so we grabbed it. The disc was in great shape, as was the manual and case. They also had a complete Time Crisis 2, which we offered $3 on. The mother said there was no way she could go that low, nor did she give any indication of what she wanted for it. We tossed around offering $5, but didn't. We probably should've just for the hell of it, and to remove doubt, but it just didn't seem like she'd take anything in the single digits. We should know better though to always make an offer for what we're willing to pay.